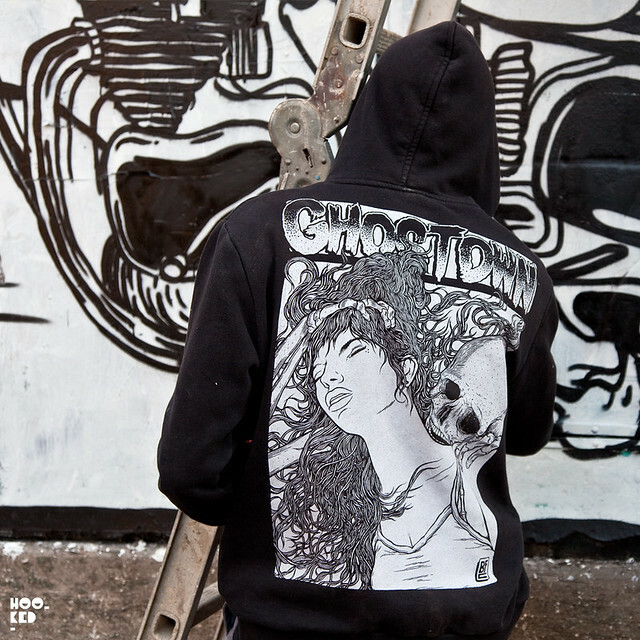 Hookedblog bumped into the Israeli graffiti art collective The Broken Fingaz Crew in East London earlier this afternoon. Two of the four crew members were on a flying visit to London and found some time to reclaim these East London wooden gates which previously featured some of their work (covered here). 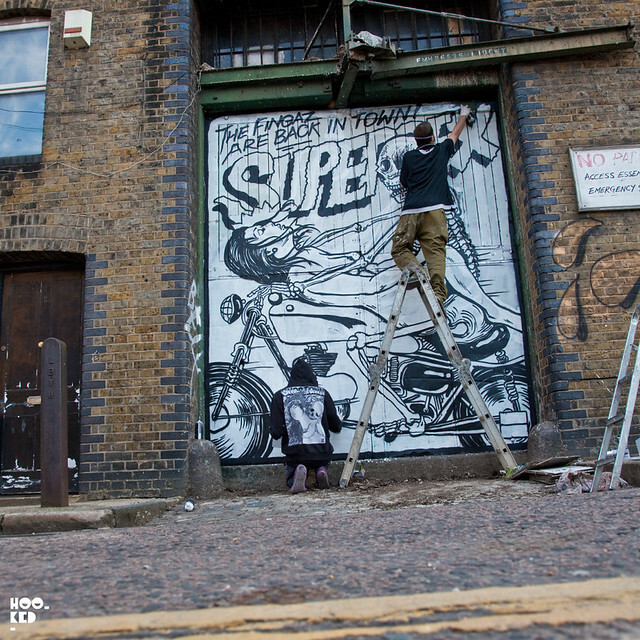 The new black and white 'SuperSex' mural was drawing smiles and comments from all the passers by as crew members Tant and Unga worked with super speed to complete the piece before heading back home to Israel. 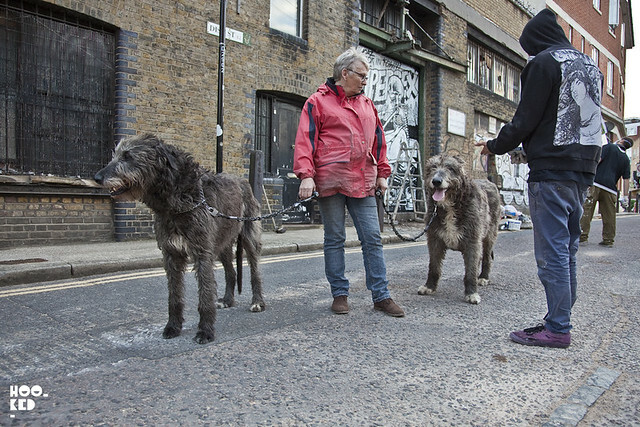 This lady out walking her Irish Wolfhounds stoped to chat to the artists. 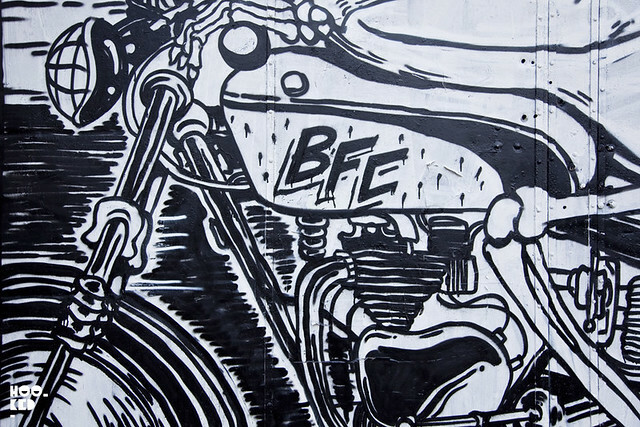 The finished 'SuperSex' mural below. This really is what you call a bone shaker!!!!! Love it!